The hallucinogenic substance Psilocybin that puts the “magic” in magic mushrooms may have originally evolved as a protection against insect attack, according to a new study. The summer of 2018 has some great psytrance festivals in store for you. The perfect time to get together with friends and open your mind to new experiences :-). Welcome to the last part of this Magic Mushroom Shop's Festival Guide! The summer of 2018 has some great psytrance festivals in store for you. The perfect time to get together with friends and open your mind to new experiences :-). Welcome to Part 2 of this Magic Mushroom Shop's Festival Guide! The Burma magic mushrooms is a psilocybe cubensis, a species of psychedelic mushroom whose main active elements are psilocybin and psilocin. It is known for its potency and is a big favorite because it grows quickly, especially if you grow them from spores. Let's get to know this Asian Schroom! Ahhh the B+ magic mushroom, a big favorite among mycologists, beginners and first time trippers. Let’s take a closer look at this popular Psilocybe cubensis strain, known for it's richness and solid performance. It's still winter, but summer's coming! And the summer of 2018 has some great psytrance festivals. The perfect time to get together with friends and open your mind to new experiences :-). In this Magic Mushroom Shop's Festival Guide we're going to share the most epic events of the summer of 2018. FreshMushrooms kits: A refreshing Alternative! We got a new kit on the block and it.. is.. Fresh! 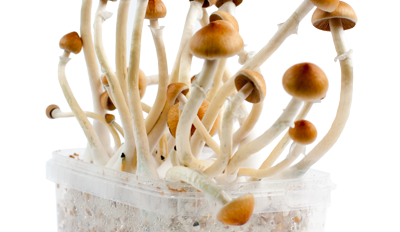 The FreshMushrooms magic mushroom grow kits are a great choice for you guys if you want a fast harvest, extra potency and low maintenance grow kit. Let's go over the specs of the new magic mushroom grow kit. What are your reasons for taking psychedelics? If taken responsible, they can enrich your life with wonderful experiences. But what kind of experience are you looking for? This Magic Mushroom Dosage Guide will help you prepare the trip you are looking for!